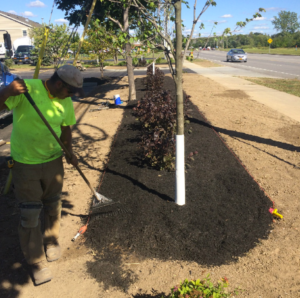 Needed to start very soon are Landscape Laborers and Lawn Care Laborers. We need Foreman as well. Our season goes from about now to about December. Our shop is located in Lewiston, NY. We meet there every morning at 7:20am and dispatch our trucks to locations throughout Erie and Niagara County. Landscaping can be pretty tough work. You’ll need to be in pretty good physical shape. The pay is $12-$15 depending on what you know and what you’ve done in the past.